In recent years, more and more people are abandoning metal braces in favour of invisible braces. Unlike their metal counterparts, invisible braces in Clapham come in different shapes and sizes, can be fixed or removable and have a common trait that makes them popular among patients of all ages – they are virtually inconspicuous when you smile. If you are interested in invisible braces in Clapham, then you have come to the right place. 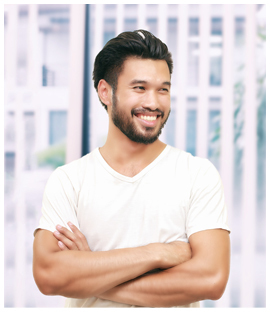 At Clapham South Dental Centre, we offer a range of fixed and removable invisible braces with globally reknowned brands such as Invisalign and Damon. Take a look at our FAQs below to find some answers to common questions about invisible braces in Clapham. How are invisible braces different from regular braces? Unlike regular braces, invisible braces can be removable. This means that they help the teeth move into their correct position without the need to be fixed on them. Invisalign, for instance, employs customised, removable, transparent aligners to gradually push the teeth into alignment. Are invisible braces as effective as regular braces? If you have been advised to undergo treatment with invisible braces, then you can expect to see results within the designated treatment time. However, unlike metal braces, which can fix most types of misalignment, no matter how severe they are, the efficacy of invisible braces is limited, working best on mild to moderate misalignment issues and often on the front six to eight teeth rather than the molars. How do I take care of my invisible braces? Your cleaning routine will depend on the type of invisible braces you are wearing. Incognito and Cfast braces are fixed to the teeth, therefore it helps to rinse your mouth out with water first in order to get rid of loose food remains. After that you can brush your teeth and gums using a soft-bristled brush, ensuring that you cover all areas around the braces. You will also need to floss and clean behind the wires and brackets with a brush. Invisalign aligners, on the other hand, are removed before eating. Patients need to brush and floss before putting them back in. Dr. Leone is our Specialist Orthodontist, he is a registered Specialist on the General Dental Council's register. He has published numerous publications on Orthodontics and he also lectures both nationally and internationally. Mohsin has a passion for providing excellence in dentistry with a special interest in orthodontics including the use of Invisalign. Dr. Rachael provides her patients with short term orthodontics such as Invisalign and Six Month Smiles. These methods allow her to achieve fast and effective teeth straightening. Dr Aussia enjoys all aspects of orthodontic and cosmetic dentistry and has been providing Invisalign since 2009.